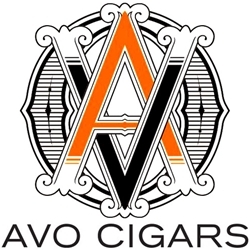 AVO Cigars are the hand-rolled premium cigar creation of famous composer, musician, and cigar connoisseur Avo Uvezian. Every style of AVO premium cigars are handmade in the Dominican Republic by elite and highly skilled cigar rollers. These master premium cigar maker’s work with only the finest tobacco blends from Dominican and Nicaragua and range in strength and flavor from mellow, to medium, to full-bodied. Each style of AVO premium cigars are constructed with different wrapper shades according to a cigar connoisseur’s preference. For example if mild premium cigars are your liking, Avo Classics would make a great choice as they are fashioned with a medium brown Connecticut shade wrapper, grown from Cuban seeds and sun grown in Ecuador. For a more full-flavored smoking experience, the Avo Heritage line of premium cigars wraps its tobacco inside a dark shade Ecuador special sun grown wrapper. Avo Cigars have consistently earned 90+ ratings from Cigar Aficionado and are always ranked in the top 25 cigars in the world. Avo Cigars is now owned by Davidoff, but the tradition of excellence and the attention to detail continues. Smokers Discounts believes you'll love AVO premium cigars. We’ve made it easy and affordable to buy these hand-rolled cigars online. A variety of sizes and flavors are listed below in our online cigar store. Each of these styles are in stock and available today for a low discount price. Call us for more details!